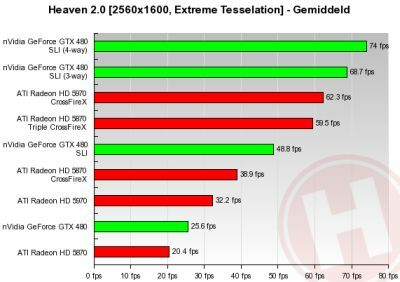 The guys at Hardware.Info have tested a 4-way SLI of GeForce GTX 480 … and since they are fearless, they ran FurMark on this crazy system. The 1500W PSU (SilverStone Strider) was just enough to feed the complete system: the total power consumption of the complete rig running FurMark reached 1480 Watts. This is just insane! 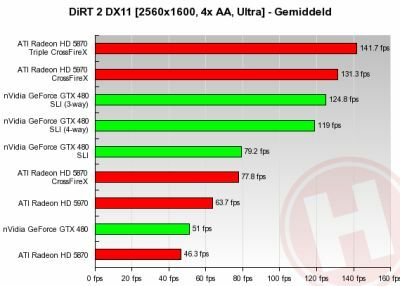 You could argue the system was CPU-limited, but Hardware.info used the fastest consumer chip available — so it seems there’s no place in today’s market for GTX 480 4-way SLI. Except, of course, for droolworthy snapshots like the above. 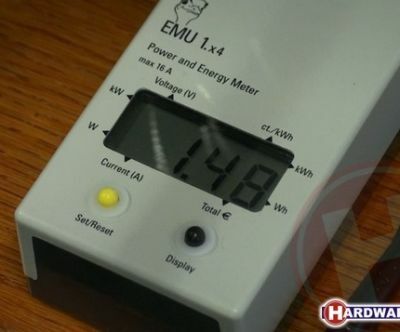 1.5 kW…and we are at kW what’s next? I actually see TWO PSUs in the video above. One in the bottom of the system and one behind it. 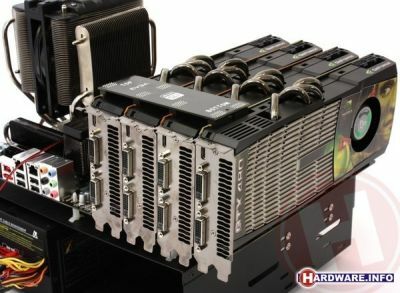 The one behind looks like the Silverstone Strider 1500w and IT might be powering the cards alone. The one in the bottom clearly says Gigabyte. 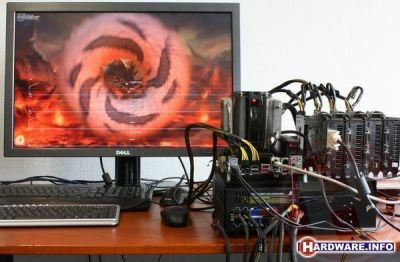 amd ati hd 5970 win!! !